Janet Miller of The Artful Arranger is warm, reassuring, and talented — the perfect partner to help an overwhelmed homeowner with a decluttering and organizing project, or to help manage a move. We recently completed a new, easy-scroll website for her professional organizing business, where she has relayed her beautiful style and generous personality. 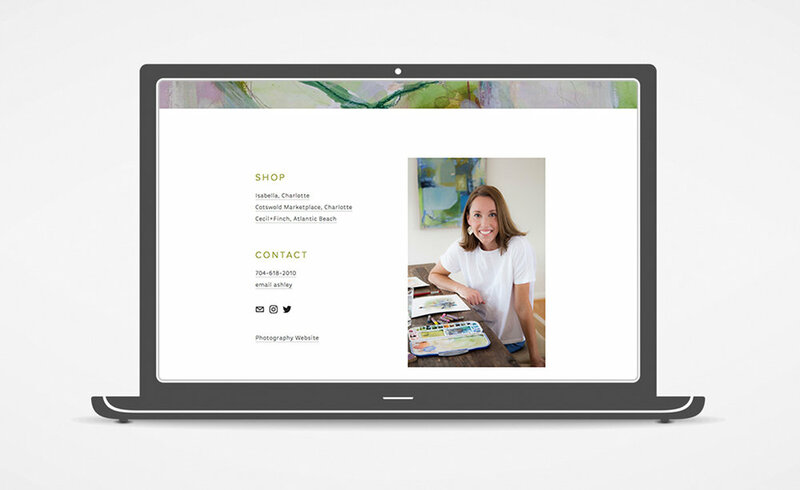 Caroline Simas and I go way back — about 14 years, to when we were both designing stationery — and it has been a special pleasure to reconnect with her to create a new website for her art licensing business, Multiple Blessings. She has had some terrific websites in the past, but Caroline was feeling the need for a fresh start, and a simpler, mobile-friendly site that was easier to maintain. “Lance COlor Study”, installed at Bland/South intersection, in front of historic Lance Factory Building. In Charlotte's Historic South End eight utility boxes have been transformed with the application of artwork. The "Amplify The Signal" project, lead by artist/designer Laurie Smithwick, invited artists in the Charlotte area to submit works that reflected the SouthEnd spaces where utility boxes were targeted for art installations. It is an honor to be included in the eight artists whose works were selected for installation. My submission, "Lance Color Study", resulted from a morning spent at the corner where the old Lance Factory building sits, collecting photographs, having breakfast, searching my swatch books for the the colors I witnessed, then returning to the studio to find those colors again in oil paints. I rendered my findings in squares, an homage to the orange peanut butter crackers I packed throughout my lunchbox years. It’s been a few year since Charlotte artist Christina Dowdy and I refreshed her marketing materials. It’s so fun to see how my artist clients’ work grows and changes over the years. I work with some incredibly talented people! I have had the pleasure of collaborating with Ashley Sellner on a number of projects, for mutual clients and for her businesses. Ashley is both a photographer and a fine artist, producing stunning images in many mediums. This summer, we revamped her web presence to create a new site to highlight her art, and updated her existing site to focus on current photography work. New, coordinated logos tie both sites together. 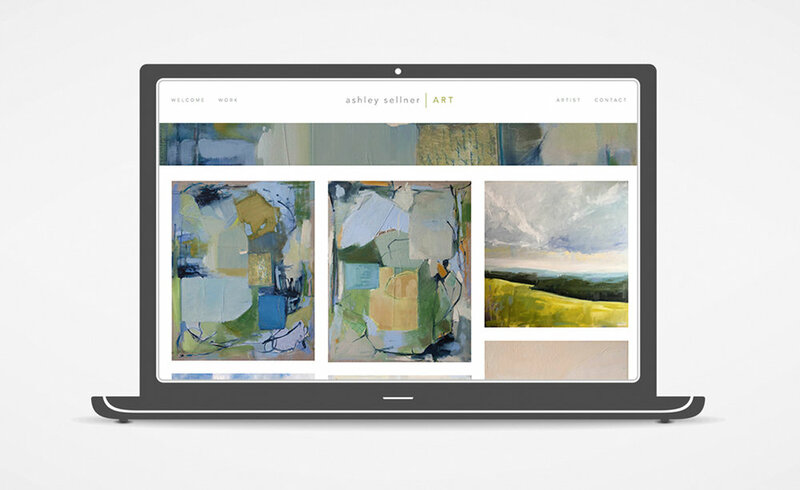 AshleySellner.com now showcases Ashley's art in a new site with scrolling homepage and multiple galleries. AshleySellnerPhoto.com now points to a site that focuses on her photography for editorial and commercial clients. EE Member benefits include a quarterly printed, 12-page newsletter ("My Effortless Entertaining"), as well as a monthly emailed newsletter ("The Dish"), both with tips, resources, interviews, and a full menu with new, well-tested recipes. In addition to her member publications, we send regular updates to her non-member mailing list. "The Dash" features recent news and events, tips, resources, and a free recipe. It's been a wonderful experience to work with a talented team of women to help Effortless Entertaining flourish! Corrie Manis and her partners at The Art Salon Charlotte have been hosting pop-up art shows in the Charlotte area for years. Just in time for her fall art show, we've rebranded Art Salon to create a more modern look for the company, which attracts an exciting variety of contemporary fine artists. 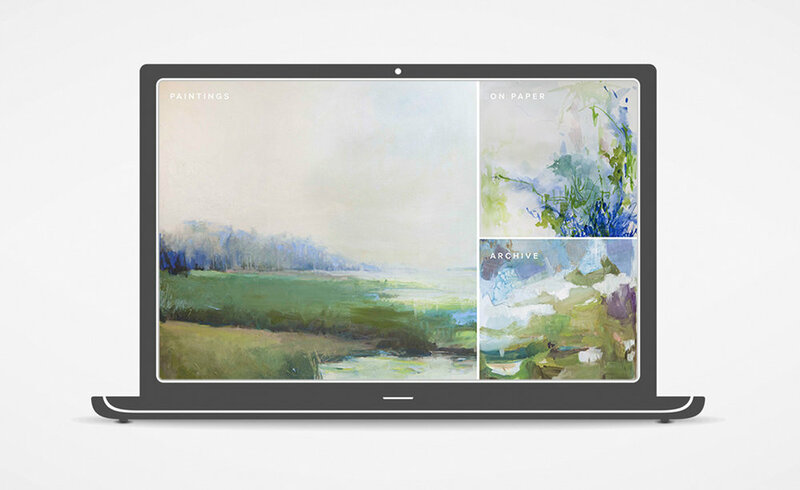 In the coming months, The Art Salon Charlotte will be also launching a new website. Economic Development Professional Leslie Dwyer is working to establish a new not-for-profit organization, Jobs4CLT, to create entrepreneurial opportunities in Charlotte's underserved neighborhoods. We've created branding to represent her innovative model as she gains community support. Learn more about Jobs4CLT on her in-progress website here.